Hi everyone, as the famous quote goes, "rumors of my demise have been greatly exaggerated!" Suffice to say (hopefully) I am back and healthy, I won't bore you all with a sorry tale of sickness, lets just say, where is Dr House when you need him!! lol!! We would like to see Tilda with a crown. 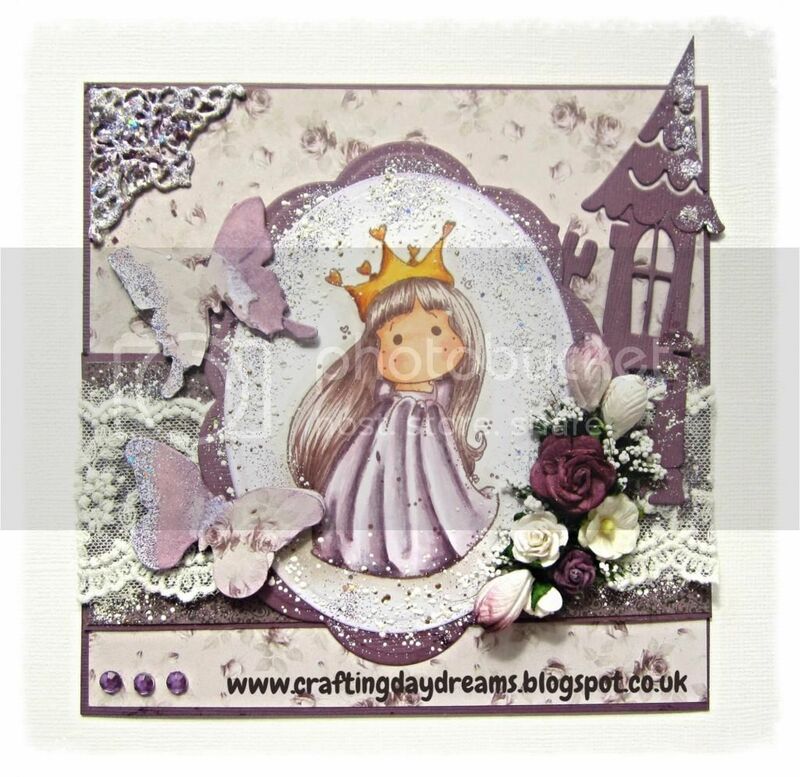 I have used Tilda in cotton dress, she is coloured with my Copics, the castle is a do-hickey die. I have used lovely Pion papers, the flowers are WOC and LLC and the lace is Ribbon girl. This is beautiful! Love the colour palette and your wonderful colouring. Thank you for joining us at Marvelous Magnolia, good luck and I hope you will join us in the next challenge.